Since my return there's been a few things I've noticed that might prove to be a bit of a problem, first off that my connection seems to not be secure to your server. Might have to do with your provider, but it could also be that your forum software is out of date or no longer supported. This also means that the website really isn't compliant with the GDPR law in Europe that was set up recently, which could result in fines from European agencies, woo! Though I really doubt that this specific website would be a target for them to investigate, I suppose it's a good idea to bring this up either way. Better safe than sorry. I figure it's not easy to make any of these changes (I know the pains of server administration and software updates), but I feel like it's still important to bring them to light in case any admins are unaware. I'm aware of the lack of https (the reason for the "insecure connection" notice in web browsers on the site). It's not a forum software problem but rather a server configuration problem, which I can't fix with my access level. 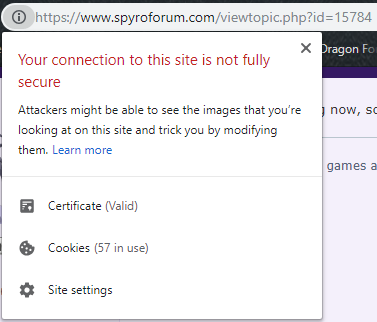 Well SR got https working now, so it shouldn't be saying the insecure connection thing anymore. If there are any errors or anything let us know here. Fair enough on the GDPR policy. I really doubt there's anyone there who would bother. 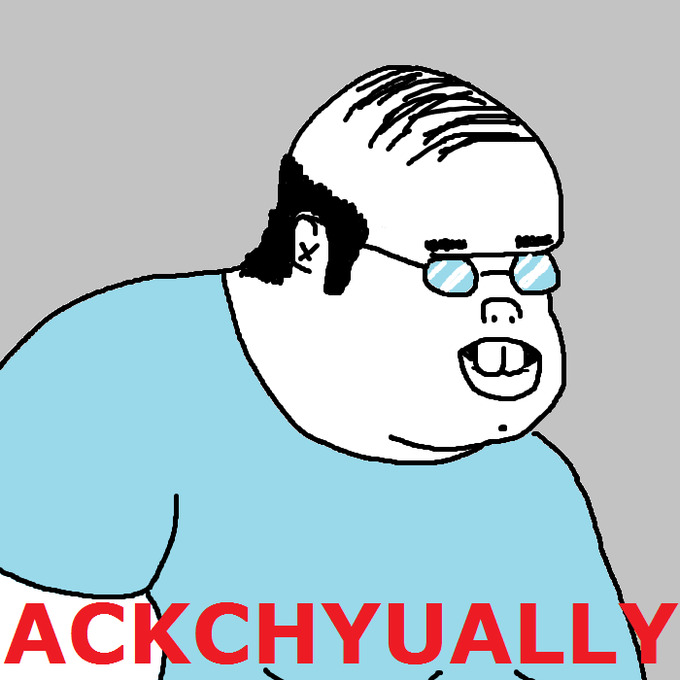 Its because theres some images and stuff being loaded from non https sources like when people post images on the forum.